This piece by William Lambers is the latest story on the unfolding famine threat in South Sudan. Stop Hunger Now is urging all it’s friends and supporters to help raise awareness of this unfolding tragedy, and to support the relief efforts though the charity of your choice. Three million of our family at risk of starvation is simply not acceptable. The war between the government and opposition forces has led to major food shortages. The already impoverished nation has been plunged deeper into despair. 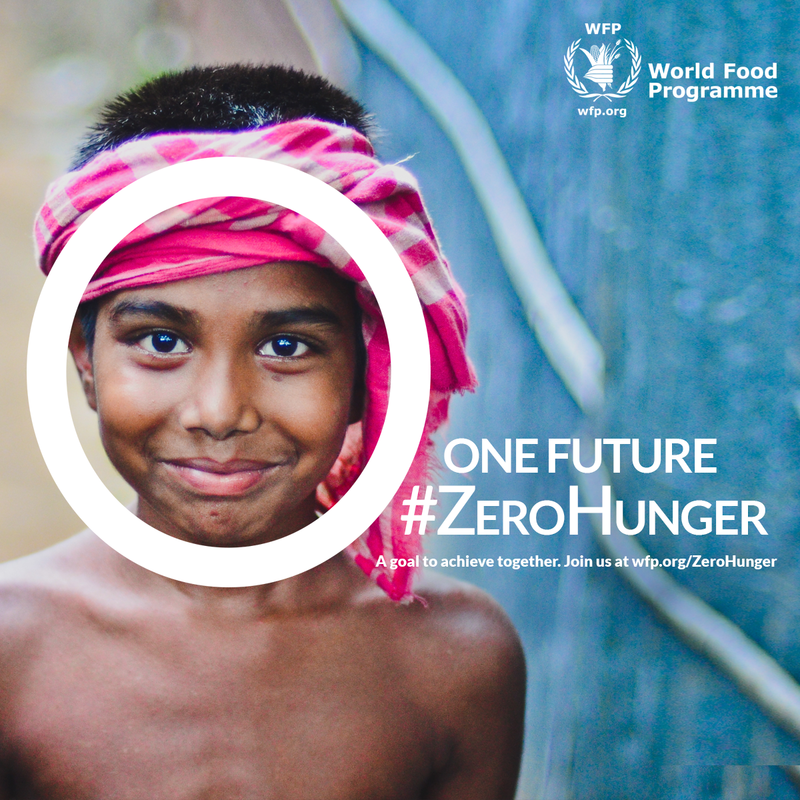 The UN World Food Programme (WFP) has been leading the hunger response. The relief mission is one of the most dangerous in the world with the ongoing violence and lack of security. WFP reports three of its aid workers in South Sudan are missing. The three staff members were traveling to a food distribution on April 1st, but WFP has not been able to contact them since. WFP has to move food around a conflict-torn country with poor roads. Airlifts are used to bring food to some areas. This is difficult and costly. The mission for South Sudan is already low on funding. Oxfam is urging governments to step up funding for South Sudan. Most of all a peace deal must be achieved. The violence must stop and humanitarian workers must be allowed safe access. Until this happens, hunger will continue to escalate, leaving South Sudan at risk of famine. This entry was posted in Facts & Statistics, Hunger & Poverty, News & Views, Quotes and tagged conflict, desperation, Emma Drew, famine, food, humanitarian workers, hunger, lack of security, Oxfam, peace deal, relief efforts, resources, South Sudan, starvation, Stop Hunger Now, tragedy, United Nations, violence, warning, William Lambers, World Food Programme on April 24, 2015 by Ray Buchanan. This article by William Lambers is one more warning of the impending famine in South Sudan. Due to the seriousness of the situation I have taken the liberty to reprint it in its entirety. Four million people are facing starvation. The global community needs to act now. U.S. Secretary of State John Kerry today warned that South Sudan is on the brink of famine. War between the South Sudanese government and opposition forces has destroyed food supplies, threatening millions with starvation. Since the war erupted, over 1.5 million people have been displaced from their homes. Many have lost their livelihoods in the process. With farmers unable to plant because of the fighting, hunger in the country has dramatically escalated. This is hardest on small children, who suffer lasting physical and mental damage, or death from malnutrition. The United Nations World Food Programme (WFP) and UNICEF are leading the hunger relief mission. The two agencies, and their partners, are low on funding. Wars in Syria, Iraq and the Central African Republic have demanded humanitarian resources, making it harder to focus on the South Sudan emergency. In fact, there are more refugees globally now than any time since World War II. Humanitarian agencies need a huge influx of funding to contend with famine threats in South Sudan and other areas. Both WFP and UNICEF rely on voluntary donations. WFP has set up a South Sudan relief fund. UNICEF USA also has a donation page to help. This entry was posted in Facts & Statistics, Hunger & Poverty, News & Views, Quotes and tagged famine, hunger, John Kerry, peace, South Sudan, starvation, UNICEF, war, WFP, William Lambers, World Food Programme on July 26, 2014 by Ray Buchanan.